Lourdes promises Enrique she will return quickly. But she struggles in America. Years pass. He begs for his mother to come back. Without her, he becomes lonely and troubled. With gritty determination and a deep longing to be by his mother's side, Enrique travels through hostile, unknown worlds. Each step of the way through Mexico, he and other migrants, many of them children, are hunted like animals. Gangsters control the tops of the trains. Bandits rob and kill migrants up and down the tracks. Corrupt cops all along the route are out to fleece and deport them. To evade Mexican police and immigration authorities, they must jump onto and off the moving boxcars they call El Tren de la Muerte - the Train of Death. 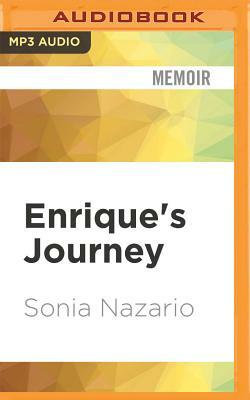 Enrique pushes forward using his wit, courage, and hope - and the kindness of strangers. It is an epic journey, one thousands of immigrant children make each year to find their mothers in the United States.